"You don't even have a tan"
I actually did have some colour from hiking under the warm Italian sun in the Dolomites and along the Mediterranean coast. And I even went swimming and spent some time on the beach while visiting the Cinque Terre. But my goals in traveling to Europe are not related to acquiring a tan, and I had not put any conscious effort into deepening my pigmentation. My neighbour has not been to Europe. She has been to Mexico. Multiple times. I believe to the same resort. And Hawaii. And she, of course, comes back with a deep tan, as well as a sense of satisfaction and a relaxed demeanor. I think when I come back from a trip, I definitely share that sense of satisfaction in time well spent, but I think my demeanor is usually one of excited anticipation – of sharing stories and photos (and beer and chocolate for the lucky ones) with friends and colleagues, and of, well, planning my next trip! So when she asked me the question about what I do when I’m in Europe, she got a long and enthusiastic answer from this admittedly jet-lagged Europhile. I talked about meeting new people, trying new Belgian brews, searching for a winery in the hills of Tuscany, walking lopsided out of the Leaning Tower of Pisa, cycling along canals past windmills, quiet moments of reflection in 800 year old cathedrals, being overwhelmed by the magnificent beauty of Botticelli’s Birth of Venus, eating the freshest most flavourful pesto anyone has ever had anywhere at any time in a little restaurant in a little village on the west coast of Italy… and on and on and on. True, my “vacations” are not really relaxing. And most of the time when I’m overseas, I’m actually working (to provide a stress-free vacation for the people who are traveling with me) not vacationing. But I’m not tired out when I come back. I’m energized and invigorated. And I can’t wait to go again. 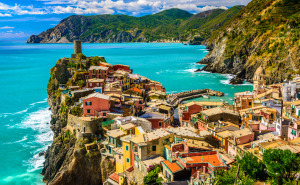 Have it all on your next vacation – Europe’s got history, art, architecture, food and drink, great people, and even a few beaches where you can work on your tan if that’s what you like! 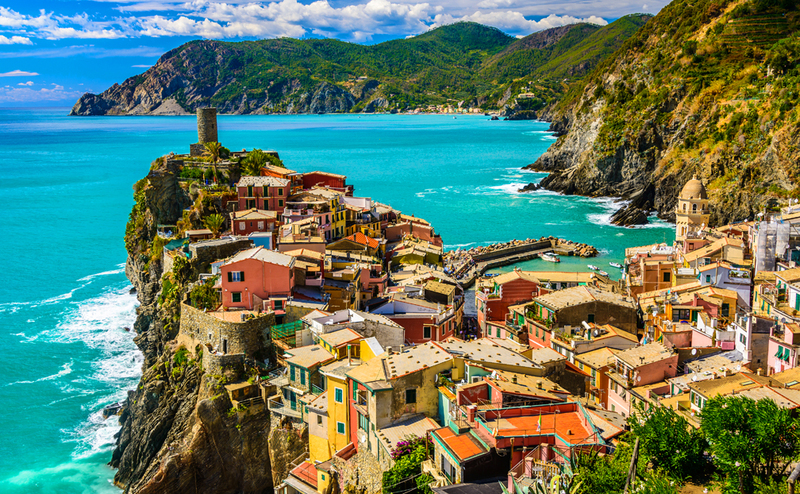 This is Vernazza in the Cinque Terre region of Italy – part of the Grand Tour.